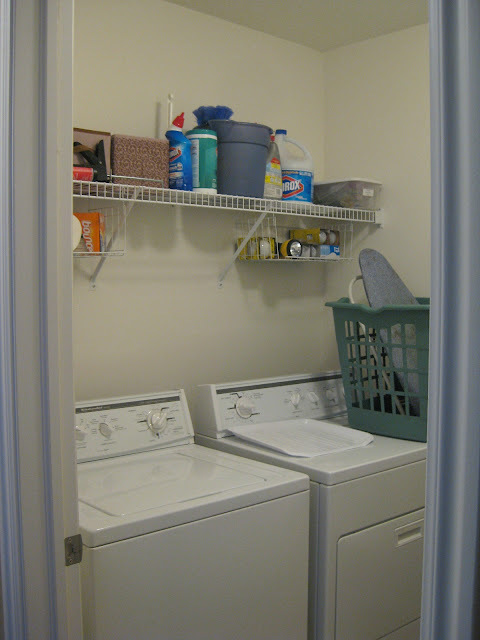 There was one room in my house that you never saw, or at least I hoped no one ever saw...my laundry room. Surprisingly, it was the ONLY room in our entire house that had never seen another paint color than the original the builder did 7 years ago. I know, ME! The one who paints and repaints walls constantly had a blank canvas and an undecorated room. Every time I mentioned to my husband that I needed to clean up the laundry room, he would say "Why? No one sees it why spend the time and money on it?". Well, I see it! So, while doing laundry last week I decided that was about to change. I needed a calm and relaxing environment even if no one benefits from it but me. My biggest complaint was lack of storage and use of space. These wire shelves...weren't cutting it. I would get so frustrated when items would fall through the slits and land behind my washer and dryer. I really wanted some custom built-ins that held a lot; yet, could conceal items to make it look a little bit more appealing. However, I didn't want to PAY for custom built-ins...so I decided to customize and build my own! 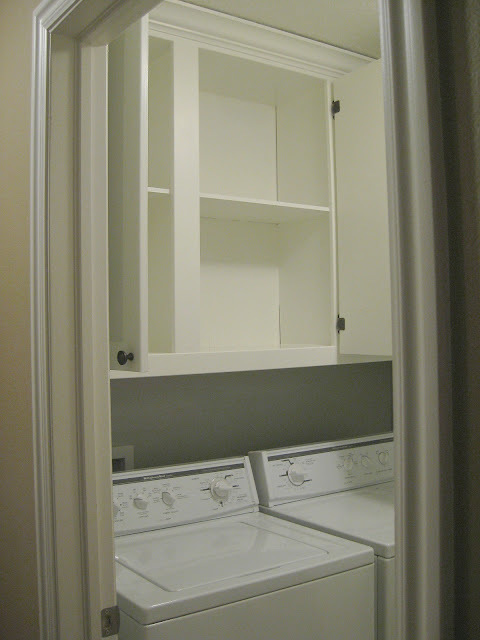 I LOVE how they turned out and am very excited to fill up all these cupboards! I painted the room Valspar's Notre Dame, a very soft gray. 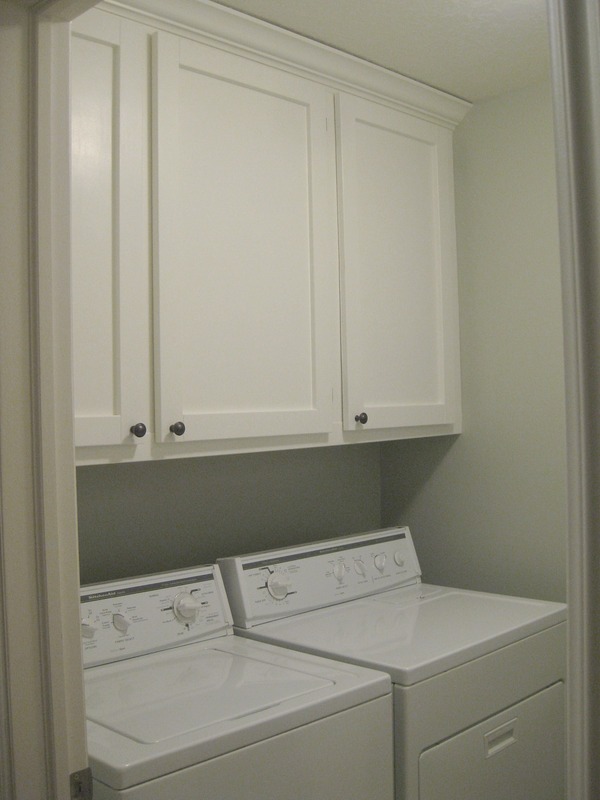 Below are the links to "how to make these cabinets" in this room! 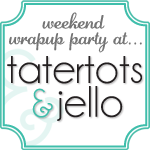 This project is linked up to the following parties, go check out their awesome sites! That's impressive, Trish. They look great! It's a fantastic use of space. They look great! Very nice and it looks like a ton of space now. Wow! You are amazing Trish! Great job! I've been wanting to do something like that to ours...Looks great!! Wow! It looks great! Thanks for sharing. Love this. I can't wait to pull the wire shelves down in my laundry room. Great job. These turned out so well. I want to put some in my laundry room to hide all of the stuff that comes with doing laundry. Heck I'd love to make these for my kitchen! Mine are hideous 30years ago homemade panel lovers cabinets.Seeing that you made these gives me hope I can one day afford new cabinets!